Some days back, Isuzu pickup truck and the SUV were seen doing test rounds on Indian tarmac. This news had sealed our expectation of another Japanese carmaker on Indian shores. Sources from the industry reports that, Isuzu had passed the homologation test of ARAI in Pune with flying colors and will soon mark its presence in Indian auto fraternity. This car maker had affirmed the blue prints of manufacturing facility worth 1,000 crore in Sri City of Andhra Pradesh. It will be energized enough to give an annual output of 50,000 vehicles. Official announcement from the house of Japanese badge was expected in the month of December but due to some uncertainties it is delayed up to 15 March, being scheduled at Hyderabad. Production unit will be ready by 2015, till the time it will utilize Hindustan Motors’ (Trivullar, Chennai) and General Motors’ production camp. SUV MU7 Choiz and V Cross pick-up truck with 3.0 liter and 2.5 liter diesel jags respectively are the first-pick to roll out from initial innings of manufacturing stage. Isuzu is also a prominent player in the HCVs MCVs, LCVs, buses, passenger vehicle engines and industrial-use diesel engines. 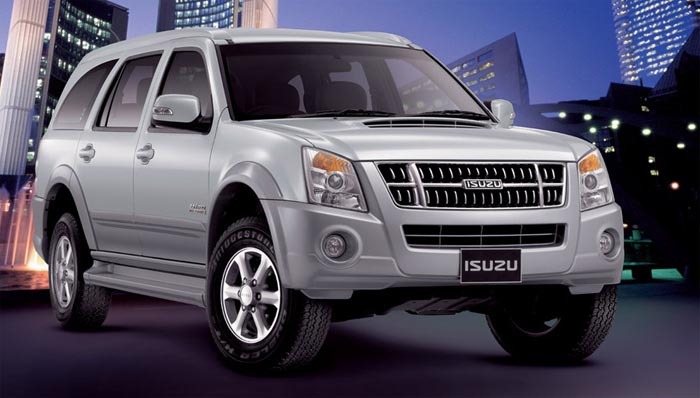 Just to add as a reminder, Tavera which runs on our road is the rebadged model of Isuzu’s SUV Panther. Limo of Indian Government officials i.e. Ambassador and Contessa are also mounted with the Japanese carmaker’s oil burner. Lastly, Sri City is a strong strategic location, as it is closer to sea shore so it derives the importance of Chennai’s auto parts eco system. This characteristic will bail out the automobile organization to develop and flourish its business in India thoroughly. Henceforth, this car brand is not new to our market, but we just have to see that how it’s pricing will make it to stand ahead on all fronts.